I joined the military at age 29, I was married with a son who was about to turn 10 the..
My father, Vivian Adams Wadford, passed at the early age of 49. Like most WW II vets, he..
Poetry by Robert Hubenthal It seemed to me while in my youth Life is not fair and that’s the truth The rich the..
First, thank you Jean, for taking time out of your busy schedule to speak with me. Q. Jean, when and..
My involvement with The American Legion stems from my family members who have and are serving our great nation. My Father:.. Growing up, I remember my dad talking about his experiences during WWII in the Pacific. I remember studying every page.. This is my popular book which is on track to be a best seller. Here is one of the.. This year, The Generals Ward & Chennault and Lt. Helseth American Legion Post 1, Shanghai, China, is celebrating the 100th..
Richard Eckert Jr. from Watersound, Fla. and Craig Smith from New Orleans were winners of the Annual Coastal Mississippi Patriot.. I was a Medical Service Specialist (bedpan commando) in the Air Force and was assigned to the hospital at Ladd.. The Vermont House of Representatives in the Vermont State House on Tuesday, April 9, at 10 a.m., provided a resolution..
On March 16, 2019, American Legion Post 52 of Easley, S.C., along with Freddy's Frozen Custard and Steakburgers celebrated the.. Sometimes you can be in the right place at the right time. For me, one of those times was in..
l Asad, Iraq, 2006. A long year for some. A year of strife, service to country, and loss.. 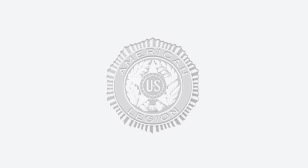 THE AMERICAN LEGION *1919 – 2019* 100 YEARS OF LEGACY. REALIZE THE VISION (DREAM) AND VALIDATE THE MISSION (REALITY)! On Thursday,..
Broad-smiled Legionnaires warm-heartedly acknowledged recent partnering/teaming with our Somers, Conn., BSA Scouts Troop 387 and Cub Scout Pack 83. ..
Maryland Governor Larry Hogan and Francis Scott Key/ALR Post 11 declare every Friday a..
FSK Post 11 Commander Keith Clevenger accepts the MD Governor Citation for Post 11 and ALR Post 11 from Governor..
2019 American Legion Maryland State Oratorical Contest runner-up Emily Wolfe. Emily was Post 11's winner. Pictured L/R: Jeffrey Seiler, Squadron.. I reported in at Bainbridge, Maryland for boot camp with absolutely nothing except a small handbag with my orders and..
One of first five women to be stationed at NAVCOMSTA Ponce Puerto, Rico..
We had just finished our schooling, for me it was Radiomen "A" school in Bainbridge, MD. We all arrived about..
Army Staff Sgt. Travis Atkins was posthumously awarded the Medal of Honor at a White House ceremony on Wednesday, March.. Recently I watched an old broadcast of a Johnny Carson show. He had Bob Hope as one of his..
Buck-Dubiel Post 101’s Sons of the American Legion (SAL) Squadron 101 is a team of male descendants of United States..
Lewis L. Millet Post 38 at Osan Air Base, South Korea, on Saturday, 23 March 2019, held a cake-cutting ceremony..
Deputy Secretary Robert Finn attended a commemoration event hosted by Post 11 commemorating Welcome Home Vietnam Veterans Day on March..
Gov. Larry Hogan proclaims March 28 Tuskegee Airmen Day in Maryland! On February 9, the aroma of fresh garlic, cumin and special ingredients filled the air inside Charles A. Conklin Post..
Middleton Post 39 held a dedication and open house March 16 at their home on Main Street in Middleton. ..
Phantom in the Sky is the story of a Radar Intercept Officer (RIO) in the back seat of the supersonic..